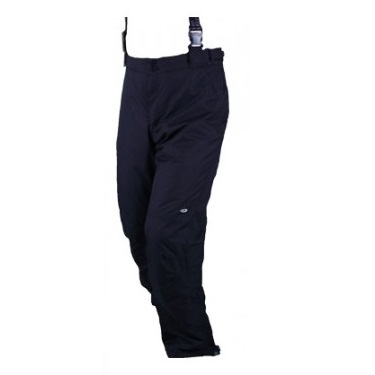 The Men's Valdez Pant from Five Seasons is an excellent ski or snowboard pant that is made from highly waterproof and breathable fabric.The waist adjustment will give you an excellent comfortable fit as will the braces which are detachable. A really classic, solid mens ski pant. Fabric: Hytec 5000- microporous coating applied on different tech weaves that gives a garment with outstanding waterproofness and moisture repellency, combined with good breathability. Resistance: withstands water pressure up to 5000mm. Breathability: moisture permeability upto 5000g/m2/24hrs.